PORT ANTONIO — Permanent Secretary in the Ministry of Agriculture and Fisheries, Donovan Stanberry, says the Ministry is working closely with the banana industry, to develop value added products to diversify production and increase earnings. He said that the Ministry is assisting the industry to acquire facilities to aid the value added process. He also disclosed that an agreement has been reached with the All-Island Banana Growers Association (AIBGA) to lease two facilities, constructed by the Ministry for the ripening of bananas, to the AIBGA to assist groups of farmers in St. Mary and St. James. 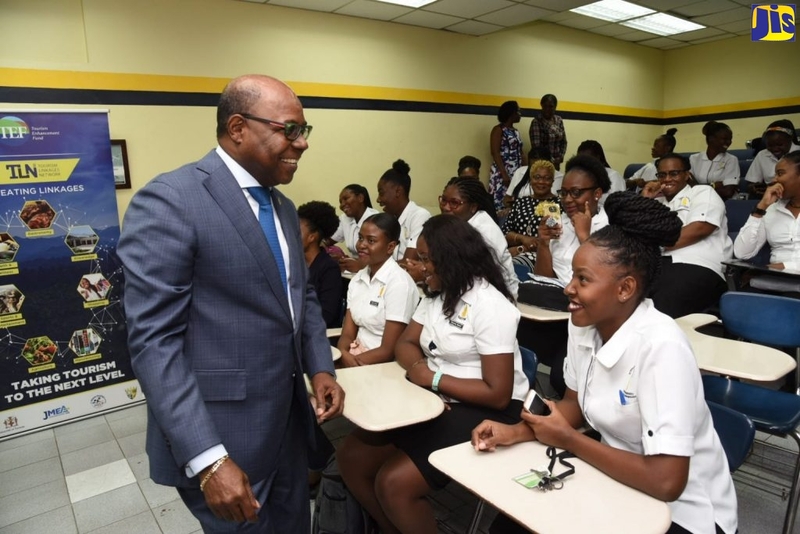 St. Mary on Tuesday April 5, reiterated Government’s commitment to providing the industry with the support necessary to maintain its vibrancy and economic viability. He said that the commitment has been made out of recognition of the significant economic support bananas provide for families and communities, and the enormous potential it possesses to contribute to the national economy. The Permanent Secretary pointed out that the challenges created by recent hurricanes and the discontinuation of preferential treatment on the European Market, negatively impacted the industry’s development, and it was necessary for it to pick up from where it is and move forward, on a new basis. He stated that the Ministry will also be providing support to pockets of banana farmers involved in exporting to the Cayman Islands, Turks and Caicos Islands and the Bahamas. This support is based on the fact that there is a strong potential for the development of the markets, and the costs of transporting bananas to these island is cheaper than to Europe. Observing that there was a strong potential for bananas for local consumption, he said the Ministry will also be working closely with the industry to put policy and infrastructure in place, to ensure that production is adequate for the local market, as well. Mr. Stanberry said that an action plan has already been presented to the European Union, regarding how compensation, resulting from the removal of preferential treatment for Jamaican bananas in Europe, will be used for the development of the local industry.